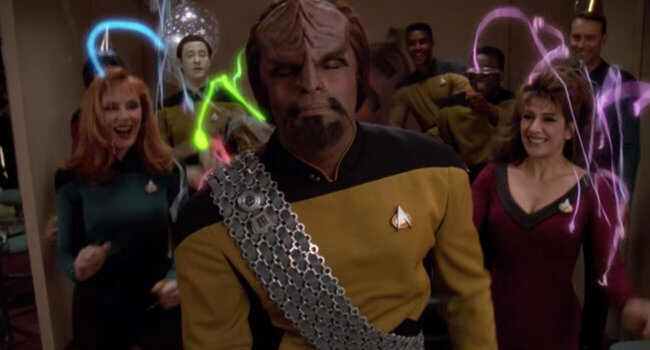 In Star Trek: The Next Generation, Worf (Michael Dorn) is the no-nonsense chief of security aboard the U.S.S. Enterprise. As a Klingon, his weapon of choice is a Bat’Leth axe, and his fashion accessory of choice is the ornamental baldric sash worn over his shoulder.